The Met Life building was originally the headquarters of the now defunct airline Pan Am. It was built in 1958-63 by Emery Roth and Walter Gropius. Yes, Walter Gropius, the founder of the Bauhaus. He had been on a long journey since designing the Dessau Bauhaus in 1926. 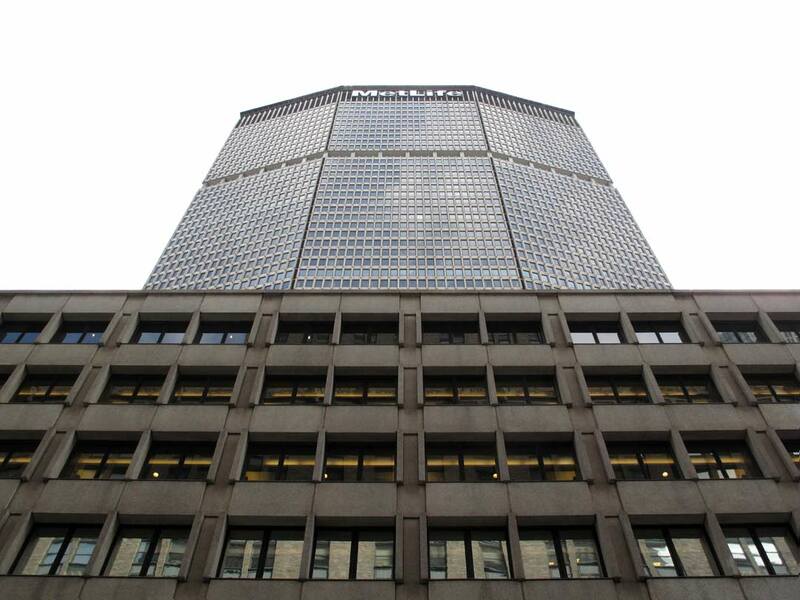 In a 1987 poll in New York magazine it was voted the building that New Yorkers would most like to see demolished. Why? Because it is not interesting enough and it occupies a very dominant site above Grand Central Terminal and Park Avenue. In other words it’s a loud, pushy neighbour that nobody invited.